Misfires are tough for companies to endure, but they can also provide excellent lessons for others. What Did We Learn is a new, ongoing feature series focusing on insights gleaned from unsuccessful companies and products. An amazing product launch video works miracles. Not only does it succinctly demonstrate value to your target audience, but it also has the potential to drive buzz at levels you hadn’t thought possible. The 2015 launch video for the Lily drone, which amassed millions of views, was one such example. The video showcased how easy it would be to use the Lily drone to capture just about any outdoor activity on video. Backed by thumping electronic music, we see Lily drones being used by everyone from a snowboarder recording his run down a slope, to some kayakers tossing it in a creek to demonstrate its waterproof functionality, to a woman using it to document a family moment on a mountain top. The video helped the Lily drone, created by Lily Robotics, become a media sensation (The Wall Street Journal included the drone in its 2016 article titled, “The Tech That Will Change Your Life in 2016”) and accumulate millions of dollars in start-up capital and preorders. At the time, the thought of a drone that was so seemingly accessible and user-friendly — to the point that it automatically launches and starts recording video when just tossed into the air —was revolutionary. Unfortunately, in retrospect, this craze was the high-water mark for the drone’s creators, Lily Robotics. In the ensuing two years since the launch video, everything came crashing down for the company in a tailspin of product delays, bankruptcy, and legal trouble. For a product that looked to do for drones what GoPro did for mountable cameras, it was extremely disappointing turn of events, but one that has a bit of twist ending. Here are some lessons to be learned from the rise and fall of Lily Robotics. The original Lily drone launch video looked amazing, but you can make a lot of products appear incredible when you’re not relying on actual working functionality. In January, the San Francisco District Attorney’s office sued Lily Robotics, based on the launch video and its failure to ship any products. The SF District Attorney’s office discovered, according to SF Gate, that the video was created with the help of a “much more expensive, professional camera drone that requires two people to operate.” In fact, a production team member who was hired to work on the video told the District Attorney’s office that he wasn’t sure any of the footage was from the Lily drone, according to Wired. 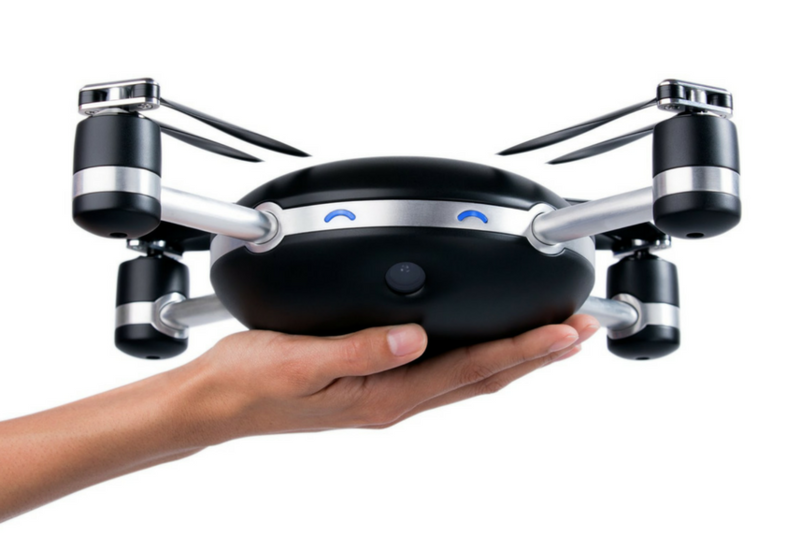 Initially selling for $499, the buzz around the launch video lead to a jaw-dropping $34 million in Lily drone presales. The problem was, according to Wired, before the window for preorders had even closed, Lily Robotics had already started to spiral. It had taken $14 million from investors to cover the costs of hardware construction, but that wasn’t nearly enough. Even still, the company leased a swanky San Francisco office and hired several employees. Maybe you’re wondering what happened with all those preorders? Well, they were never fulfilled, as Lily Robotics kept delaying the release of the drone. According to Wired, the person in charge of the software development team decided to revamp the drone’s software — which had originally been built with open-source. After that, technical problems caused the delivery date to change from 2016 to 2017, and then, well, never. Competitors popped up, customers were offered refunds, and that was it. On Jan. 12, 2017, Lily Robotics shut down permanently before shipping even one completed drone, reported Recode. While Lily Robotics, the company, is finished, the idea of a drone called “Lily” is very much alive. That’s because a company called Mota Group recently bought the “Lily” brand name, as well as some other brand assets, according to Droning On. Mota’s “Lily Next-Gen” is not the original Lily. It’s been fully re-designed with several tweaks. For instance, the new model doesn’t have waterproof functionality, but it does weigh significantly less. As for price point, the new Lily Next-Gen is offered at a promotional price of $499-$799, depending on the package you select, with an expected retail price of somewhere between $600 and $900 (as compared to a retail price of $999 for the original Lily). Lily Robotics is a strange case. Despite the overall failure, one could argue the crazy hype it produced counted for something in the end. After all, the “Lily” brand name lives on. Of course, the ultimate success of the brand will still depend on how well the new Lily Next-Gen sells, and the innovations Mota makes with it. Whether its consumer electronics, automotive, or any connected device, check out how Jama Software can help improve your product’s development process.